Welcome to our latest PDMS R&R newsletter. It has been a busy and productive year so far and we’ve got lots of news to share with you – from the imminent launch of our new digital certificates services to becoming Commonwealth Export Champions. If you’d like to speak to us about the newsletter, or any of PDMS Registry and Regulatory solutions products and services, please do get in touch! We will soon be launching an exciting new service as part of our MARIS platform – Digital Certificates. We, like many within the marine industry, believe that protecting electronic certificates from modifications and providing assurance of authenticity is crucial to ensure smooth sailing for ships. Our service aligns with the IMO guidelines provided under FAL.5/Circ.39/Rev.1 and is cost effective to implement for all our R&R solutions. 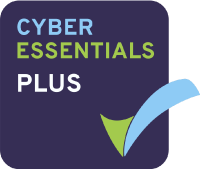 Please get in touch with us if you’d like to find out how Digital Certificates could help your organisation. We’re proud to announce that PDMS has been chosen to be a Commonwealth Export Champion. A select number of leading SME’s throughout the British Isles have been appointed as Export Champions – based on a combination of factors including ambition, innovation and ability to succeed across Commonwealth markets. Bruce McGregor, Director of PDMS said “We are delighted to have been selected as a Commonwealth Export Champion and are looking forward to spreading the word about both PDMS and the Isle of Man in the Commonwealth. We are eager to continue driving the growth of our business and promotion of the Isle of Man internationally and believe we will benefit greatly from the resources, guidance and network opportunities provided by the CommonwealthFirst team”. Find out more here. Our ship registry platform, MARIS, includes a wide range of standard reports. However, a new dashboard feature, has been introduced to provide users with a visual overview of key business data. For example, users can view a breakdown of the fleet by type or age, and can also view the most common deficiencies recorded against vessels in the fleet. Users are also able to configure which dashboard information they can see, depending on their business focus. Please get in touch with us if you would like a demonstration. Congratulations to the Isle of Man Aircraft Registry team! We were delighted to learn of the ongoing success of the, Isle of Man Aircraft Registry after it was recently declared both Best Global Aviation Registry and Most Recommended Global Aviation Registry at the World Commerce Review 2018 awards. PDMS has worked with the aircraft registry since 2013, providing and supporting their ARDIS software. The software supports the registry’s back office, survey and online processes, and has helped to drive their growing business forward. Please read our full article here. Commodore Davy Rolle, recently retired from his role as Managing Director and CEO of the Bahamas Maritime Authority (BMA). A gala dinner, hosted by The Bahamas Minister of Transport & Local Government and the Bahamas Maritime Authority, was held in Nassau in January to bid him farewell and thank him for his significant contribution to both the Bahamas Ship Registry and the IMO Council. We had the pleasure of working with the Commodore, and his team, on a project to implement our ship registry system MARIS into the Bahamas Maritime Authority. The whole PDMS R&R team wish the Commodore all the best in his future endeavours. Read the full Bahamas Maritime Authority press release here. We’ve got a busy few months ahead of us! The PDMS R&R team will be attending the European Business Aviation Convention & Exhibition (EBACE) in Geneva, in May, and Posidonia – the International Shipping exhibition – in Athens, in June. If you are attending either of the events and would like to meet up with us for a chat, please do get in touch with us. With just over three months left until the General Data Protection Regulation (GDPR) becomes enforcable legislation across Europe, we have been working hard to ensure that we meet the requirements of the GDPR by analysing our business and looking out for any potential gaps in our compliance responsibilities. Through our ongoing business practices and the requirements of our existing certifications, we were already compliant on many levels. Please read our article about GDPR here. If you have any questions about how GDPR will affect your systems please get in touch with us. We also wanted to say thank you to those that attended our first MARIS User Group meeting back in December. It was both fruitful and very interesting and we’re already looking forward to the next one in April. Please read our article here.